Africa Steel Holdings (ASH) offers clients across South Africa a turnkey solution including raw steel, manufactured steel and fabricated steel as well as steel processing services. Various Roads in the Western Cape. In June 2014 Africa Steel Holdings (ASH) founder and director Mayleen Kyster registered ASH as the first 100% black woman owned steel enterprise in South Africa. A year later, after successfully landing a number of orders and executing two large energy projects, the ambitious entrepreneur joined forces with reinforcing steel multinational Reinforcing Steel Contractors (RSC). It was here that she was introduced to Dorothy Mokgadi and Nkholo Komape. Mokgadi owns a rebar fixing business, while Komape boasts more than 30 years of production experience. The business called RSC Avelo, has grown into a household name in the rebar fraternity and executes projects across South Africa. Kyster says that the steel industry chose her, and that her love for the commodity was sparked during an internship at the steel mill in Vanderbijlpark almost fifteen years ago. “In the third year of my B-Comm Accounting degree at the University of Witwatersrand I applied to do my articles at one of the big four auditing firms.” says Kyster. “At the same time the steel mill in Vanderbijlpark, Arcelormittal South Africa (AMSA) was running a graduate programme, and, together with about three hundred other applicants, I grudgingly applied as a back up plan.” AMSA was quick on the uptake and so Kyster, together with only six other successful candidates, began her journey through the business of steel-making, sales & marketing and steel delivery. “Ten years later, with the employment, business, political and social landscapes lining up and encouraging me to be bold, it seems as though fate once again guided me – this time into to pursue entrepreneurship,” says Kyster. Kyster named her company Africa Steel Holdings in line with her vision that ASH will become a significant player on the African Continent, as well as in the steel (metals and mining) industry. Her vision includes building ASH into a diversified boutique and value-adding investment holding company that owns and manages industrial plant and assets. Kyster’s entrepreneurial spirit and comprehensive experience across the entire steel value chain has laid a strong foundation for ASH, one she and her team intend to leverage to the benefit of ASH and its client base. 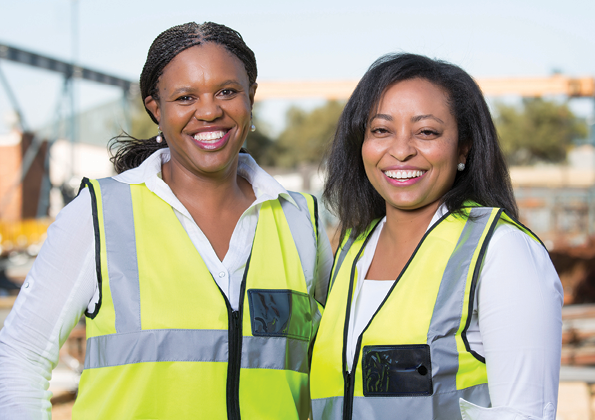 Mayleen Kyster and her business partner Dorothy Mokgadi at the Reinforcing Steel Contractors (RSC) Avelo premises in Johannesburg. Mayleen Kyster Foundation NPC t/a Alpha Foundation Africa is a non-profit organisation (NPO) that implements ASH’s community development objectives. As an independently registered NPO this allows for the formation of partnerships, from within the industry, where there is a desire to give back, but a lack of capacity to do so. We find creative solutions to social matters – affecting children, youth and young entrepreneurs – Attendees at the official launch of the Alpha Foundation Africa. 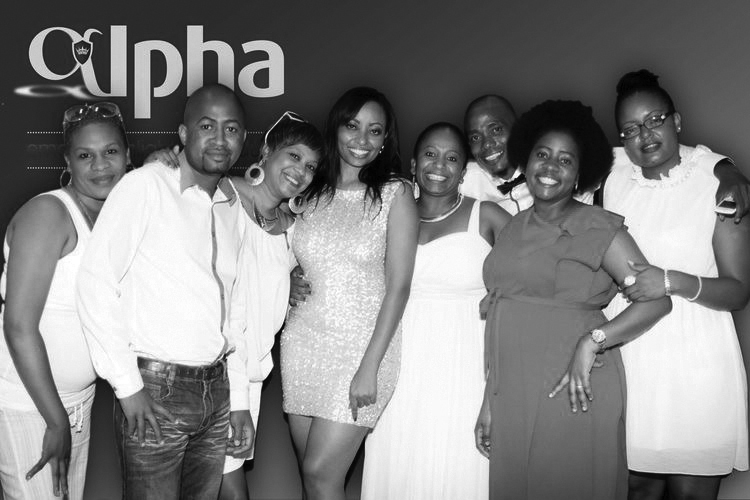 Attendees at the official launch of the Alpha Foundation Africa.